E' da un pò che ho questo vestito di Zara nell'armadio, di cui amo il tessuto e la sua forma a tulipano, sembra strano, ma ancora non l'ho messo neanche una volta. Quindi eccomi qua a mostrarvelo, abbinato alla mia giacca di pelle preferita e a delle mary-jane color borgogna! Buona fine settimana a tutti! It's for a while that I have this Zara dress in the closet , which I love the fabric and its tulip shape, seems strange, but I still have not put even once. So here I am to show you it, combined with my favorite leather jacket and mary-jane of burgundy! Very nice drees, I love it with these jacket! love your outfit! the dress and shoes are amazing! Ciao bella! I love ur dress, it reminds me to Chanel! I love everything. 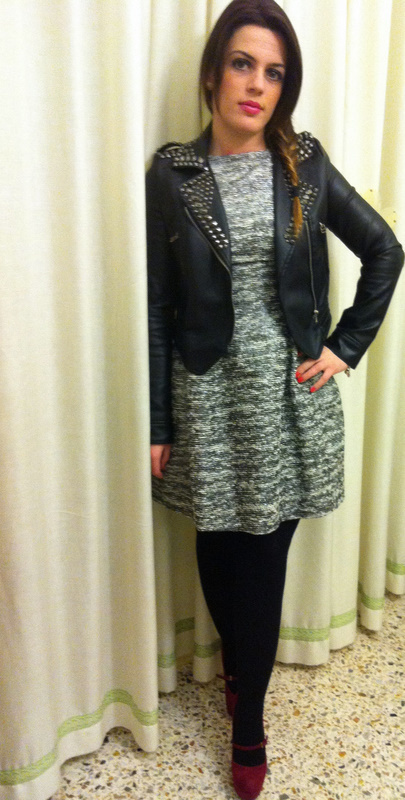 The studded leatherjacket is awesome and so are the Mary Janes and the chic dress. OH, it's gorgeous...love the tweed and the shoes are perfect!! Lovely outfit! nice dress & jacket! It's a beautiful dress and you've styled it so well! Ciao!! 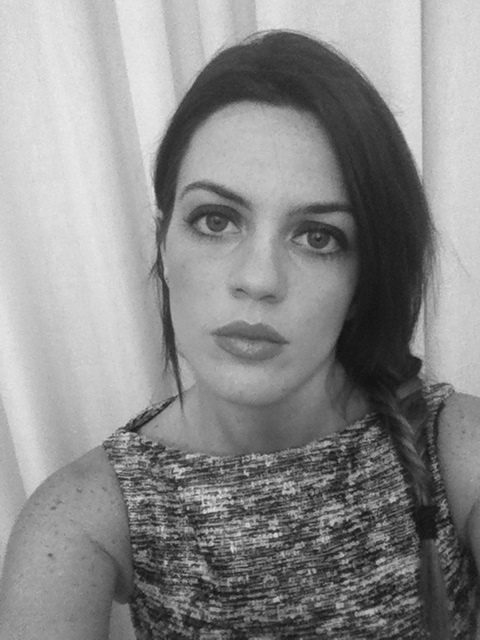 Adesso ti seguo come lettrice fissa ed anche sula tua pagina fb!! A presto!!! Awesome look, I love the shoes and how looks the dress with the jacket. La giacca di pelle è qualcosa di favoloso! I must confess I don't like tweed fabric, but that dress' shape is so beautiful that I would forget the fabric... You're pretty in that! i love the leather jacket wild touch! LOVE!!! It's really lovely--love the dark red shoes--nice touch for some color! E hai tenuto questa meraviglia nell'armadio? E' bellissimo e mi piace molto anche la giacca! That is a beautiful dress. I love those shoes with it! I love your shoes & jacket, the twice are perfect! Questo vestito e molto bello! E la combinazione con la giacca di pelle e il borgogna.. è perfetta! Carino questo abito, molto bon ton!! Having a bit of tweet envy at the moment! 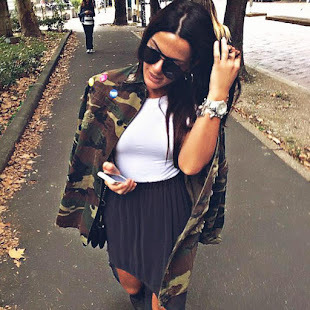 Love your look and your style :D New to your blog and have found lots of inspiration here! 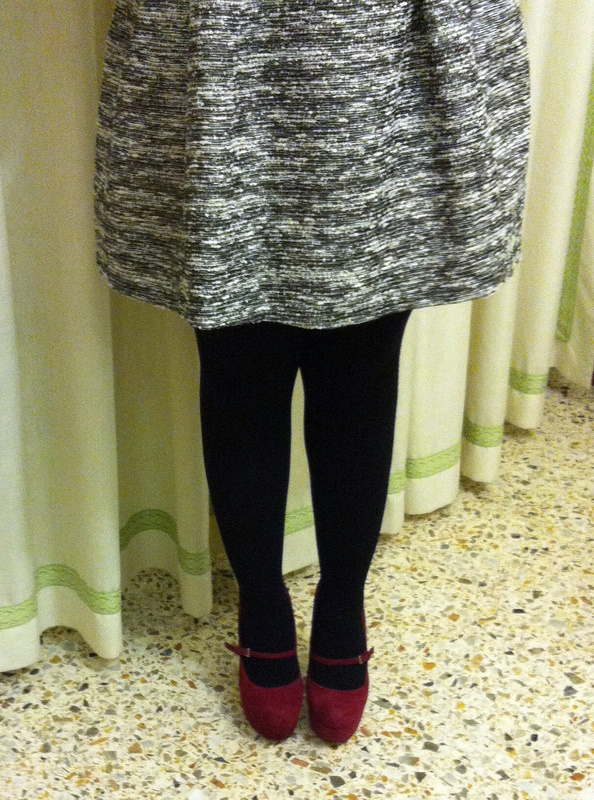 love the dress and the heels!^^ nice lip color! OMG, the dress is soooooo pretty! :) and by the way...LOVE the braid! 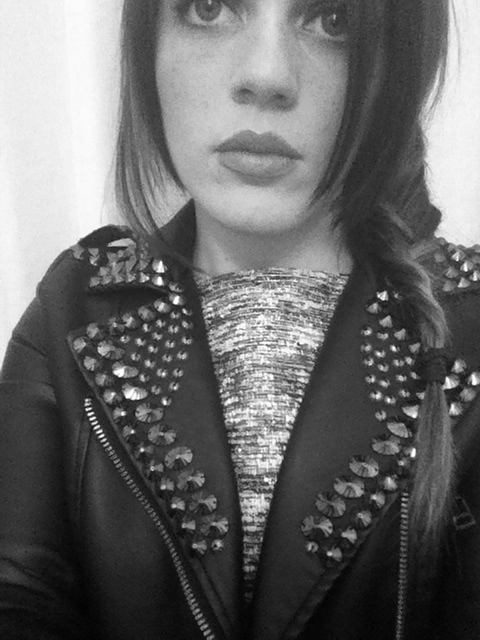 Love that studded leather jacket! Love the tulip skirt and the way you styled the outfit is adorable! Love!! Zara is the best!And you've styled it so well! I really like the dress, it's so awesome, and the shoes, I like them too! great oufit..love the shoes and the leather jacket!